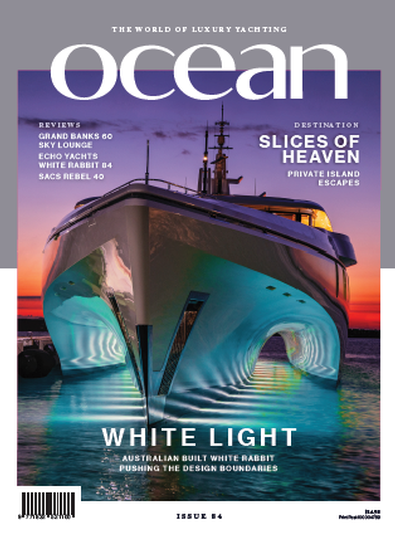 OCEAN Magazine is the leading luxury yachting and maritime lifestyle publication for Australia, New Zealand and the Asia-Pacific region.Published bi-monthly and focusing on premium power and sailing yachts costing $1 million and above, Ocean encompasses regional and international yachting news, new boat builds, the latest concept designs and multi-page reviews of the most desirable new yachts on the market.You?ll also find special features and exclusive interviews with boat owners, skippers and designers, plus a glossy lifestyle section bursting with luxury travel, motoring, private jets, world-class cuisine and the finest fashion accessories, gadgets and gourmet goods on the market.Also included is Ocean-Pro, a unique ?mag-within-a-mag? dedicated to the yachting industry professional and containing technical articles, industry profiles and gear reviews, plus expert tips, comment and interviews from leading industry figures. Finally, in our Ocean Select section you?ll find the best waterfront properties, ocean cruises and yachts available for charter and brokerage.Beautifully produced and printed on high-grade stock, and blazing with authoritative, entertaining and inspiring content from our stable of top international writers and photographers, Ocean is the benchmark yachting publication for the Asia-Pacific region and essential reading for anyone with the big boat bug. 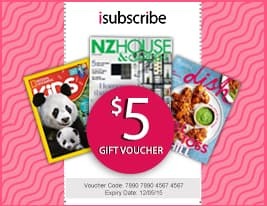 Be the first person to tell us what you think about Ocean (AU) and you'll save $5 on your next purchase!